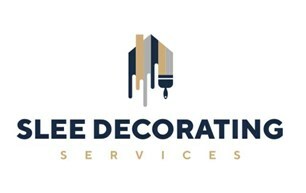 Slee Decorating Services - Painter/Decorator based in Carshalton, Surrey. I qualified with a N.V.Q. Level 2 and City & Guilds Level 2 via an apprenticeship in Painting and Decorating in 2010. After 3 and half years I branched out on my own as a Self Employed sole trader. I have undertaken all aspects of Painting and Decorating both internal and external. One achievement I am proud of; I have several returning customers as they are consistently pleased with the quality and professionalism of my work. As a rookie Painter and Decorator I was part of the team responsible for redecorating Royal Naval College at Greenwich. Now, I undertake all interior and exterior decorating from a Garden Shed to a Block of Flats. The feedback I have received from customers ranges from 'going the extra mile', 'enthusiastic, he was very polite, clean and tidy' and 'great attention to detail'. So why don’t you give me a call/email to discuss all your decorating needs and in turn, I will provide you with a competitive quote.